So I’m almost 35 weeks pregnant, and it’s been in the upper 80’s to low 90’s for the past few days. My feet are swelling up to what my lovely younger brother called “Nutty Professor” size, and Baby Garrett is about 20 inches long now and weighs about 5.5 lbs. There isn’t much I can do to feel comfortable, but floating is NOT one of those things. 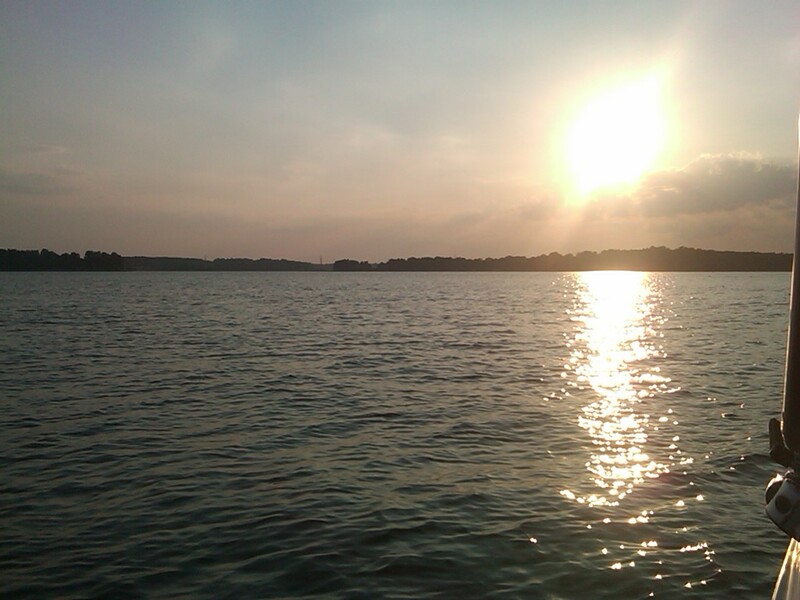 We’re lucky to own a boat and live so close to Lake Norman, and for the past 4 summers have spent a great deal of time on the lake. 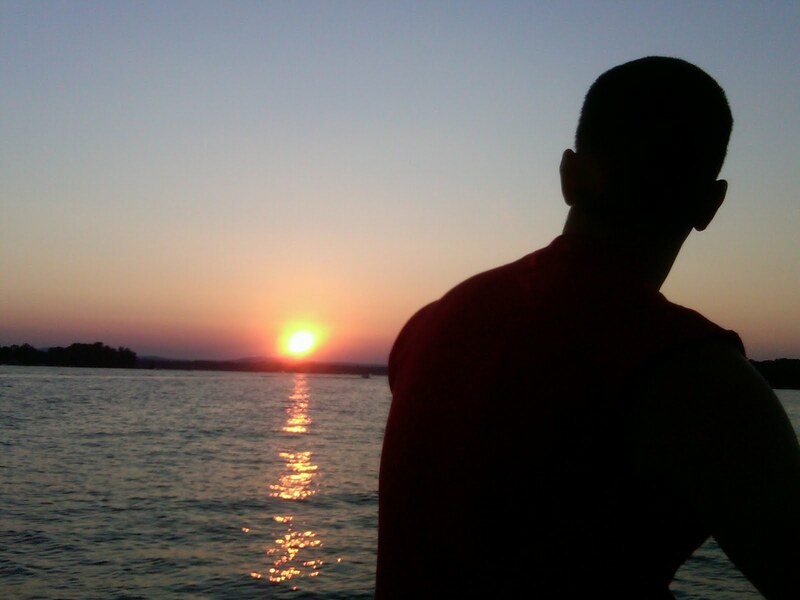 Now I can’t exactly say that my boating days are what they used to be, and it’s hard for me to have to ask to slow down so I’m not wincing in pain or feeling like I’ve got to pee ( I don’t like feeling like a burden, and not being able to do the things we normally do.) We spend more time idling than cruising and I’m doing much more floating than swimming. 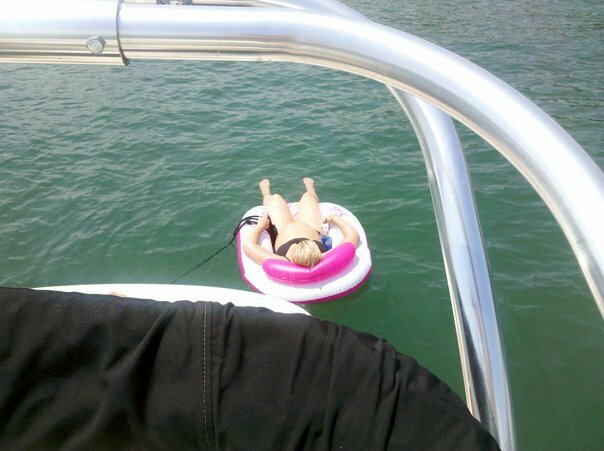 Yep, that’s me attempting to tan my big ol’ belly while floating away off the back of the boat, pretty funny….I know.